Trinity's spiritual heritage is rooted in the Episcopal faith as expressed in Scripture, tradition and reason. We encourage every member of our community to discover his or her spiritual path. We strive for open hearts and open minds and seek to affirm and learn from everyone whom God has placed within our school family. Some specific aspects of our spiritual life in action include chapel, community service, religion courses, spiritual life groups, and our daily interaction with one another. 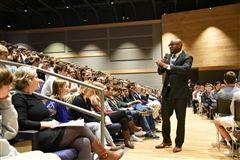 Each Monday the school gathers together with a guest speaker, faculty member or student speaker to engage with issues around spiritual life, societal participation and character development. Guest speakers from a broad range of spiritual traditions are invited to create opportunities and inter-faith education and dialog. Students, teachers and guests share their experiences in the world, from community service to mission travel to meditation and mindfulness. Chapel explores and reinforces Trinity community's values, including citizenship, stewarship, gratitude, honor, service. The Chapel program involves all members of the Trinity community. 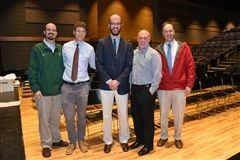 Strong student, faculty and parent involvement binds Trinity's community together in a spirit of fellowship, learning and discovery. Twice a year, the community gathers for a Eucharist service, following the Episocpal liturgy in the Book of Common Prayer. As with all Chapel programs, students are welcome to participate and engage at whatever spiritual level is most comfortable for them. Trinity's a long history of partnership with the Episcopal Church dates back to its inception, when many of its founding members were closely associated with the Episcopal Church. 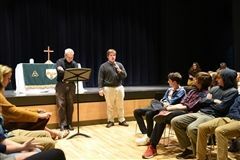 Trinity believes in involving students in the Episcopal experience, holding weekly chapels with students, faculty and staff. God is active in our daily lives and in the world. Our community strives to operate in grace. Our community strives to embrace all students. Trinity promotes the use of Episcopal liturgy as articulated in The Book of Common Prayer. Rev. Michael Lomax inspires students to pursue their dreams with resilience and the support of allies. 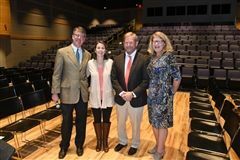 Almighty God, the source of all knowledge and wisdom: we thank You for Trinity Episcopal School, and for the learning and growing we enjoy here. Bless all who are connected with this school. Grant us curiosity in the classroom, sportsmanship and camaraderie on the playing fields, and integrity and compassion in all our dealings with others; and further grant, we pray, that those who teach and those who learn may continue to find Your love, glory, and truth revealed in all of Your creation; through Jesus Christ, our Savior and our Guide. Amen.